Hetty's third book is a whole new take on her flavour combinations and ideas. I still think the first is the best and needs to be in any collection to understand the basics. But this third is a whole new level. Love, love, love. We used the recipes in Family to design our Christmas lunch menu. Each recipe was easy and a winner with the family. I love cooking and I have found this book to be exciting in its variation of recipes and thus far the ones I have tried have been different to the usual run of the mill and quite delicious. It is a vegetarian and vegan cookbook but don't let that stop you; I am a meat eater and I love it. Easy to use, fabulous recipes. This and her other two books, Community and Neighbourhood, deserve to be in every vegetarian household. I use them every day. 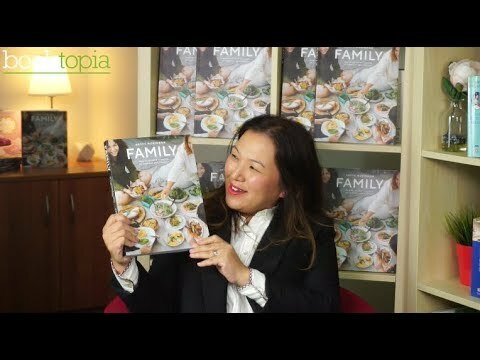 I've cooked so many recipes from her last two books and this third one does not disappoint! Beautiful book, expected nothing less. Hetty McKinnon has done it again. The book has so many delicious, family recipes with accompanying beautiful stories and photographs. I haven't cooked a dud from it yet-so yummy! Hetty McKinnon is a cook and food writer with a passion for vegetables. In 2011, she established Arthur Street Kitchen, a local salad-delivery business run out of her inner-city terrace in Surry Hills, Sydney. 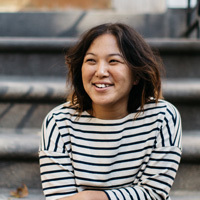 In 2015, Hetty, with her family and Arthur Street Kitchen in tow, relocated to Brooklyn, New York City, where she writes about food and runs pop-up food events and workshops out of her Brooklyn-based creative space, Neighborhood Studio.